Tracks who was called from the phone. Tracks who called the phone. 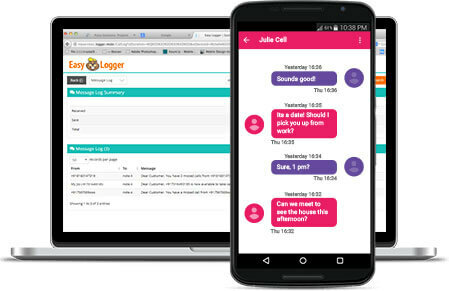 Tracks phone calls even if logs were deleted. Tracks the exact time when the call was made and when disconnected. Tracks the location where and when the call was made. If the call is not received it will show as a MISSED CALL under the duration column. If the call is disconnected by the receiver it will display NO ANSWER under the duration column. Tracks text messages even if they are deleted from the phone. Tracks the geographical location of the phone when the text was sent or received. Tracks all the applications accessed on the phone. Reports on the amount of time spent on each of the applications. Report on memory utilization per application. Reports the current live location of the phone. Lists location coordinates where calls and texts took place. Shows live location trail from point to point on a Google map. Historical location data to analyze past trails. 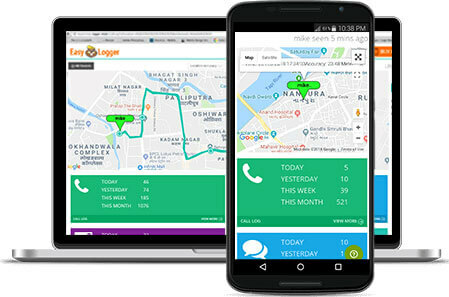 24/7 real-time phone tracker app. 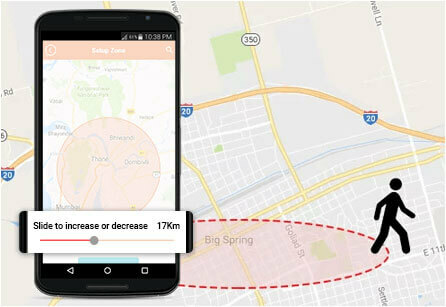 Create a Geo-fence of any size directly on the map. Receive alerts on Geo-fence entry. Receive alerts on Geo-fence exit. Hides the app from view on the phone. Access the app by dialing a secret code that you set up. The online cloud control panel enables hiding the app without access to the phone. 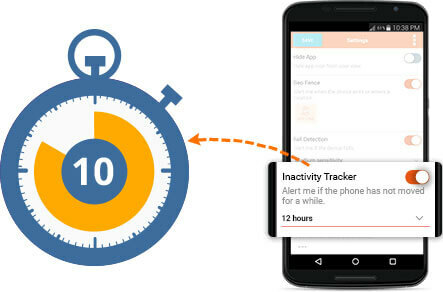 Monitors phone activity and inactivity. 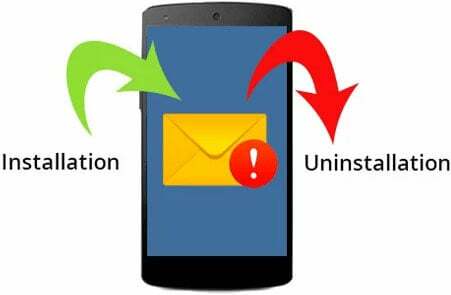 Alerts you when the phone has not been used for a configurable number of hours. Includes the current device location in the alert email. 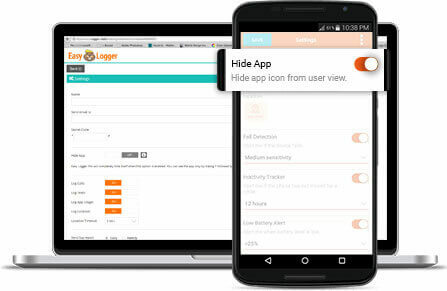 Alerts when the Easy logger is removed. Alert on every app installation with a link to the app installed. Alert on every app removal with a link to the app installed. Constantly tracks if there is a sudden fall. 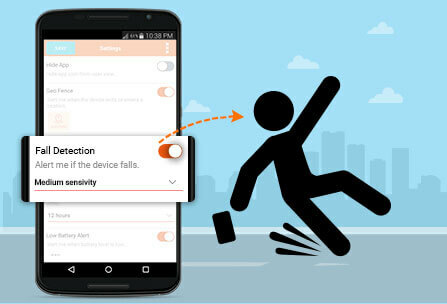 Alerts you when a fall is detected. Includes the location where the device has fallen. We collect minimal information during registration to keep your identity private. 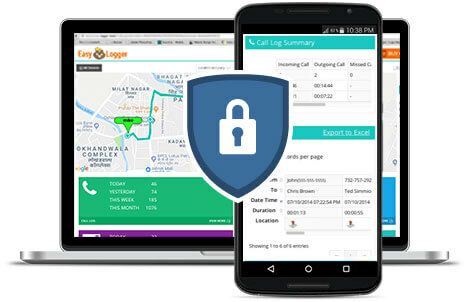 Call and text logs are saved only with a connection to the IMEI number. Location logs refer to the IMEI number instead of the phone number. App does not collect data from within the application, we collect only application usage statistics. Logs and account information is kept encrypted. Data transfer takes place only when logged data is available. 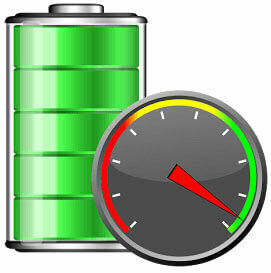 Location tracking uses a battery safe mode. Data transferred is compressed to save bandwidth. Single thread application that takes a very small amount of memory. 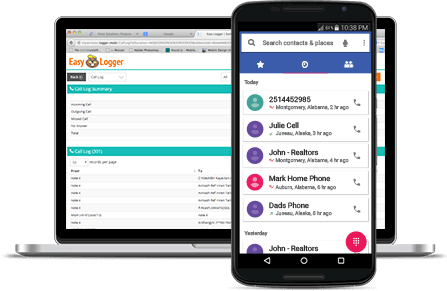 Data processing and crunching happen on the Cloud leaving the phone to simply gather and send logs. 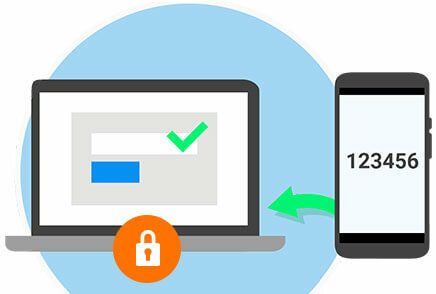 Strong passwords are mandatory for all accounts to secure access. All transactions are 256bit encrypted. The system is fully managed and hosted on professional Cloud environment. Scheduled security checks for optimum software performance. 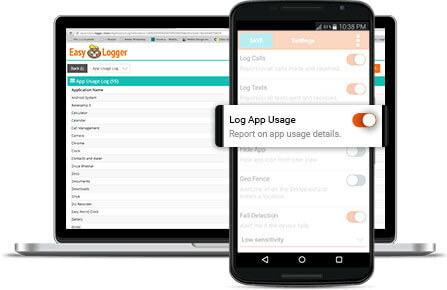 The Easy logger is the most versatile cell phone tracker available for monitoring android cell phones in the market today, use it as a free SMS tracker, a powerful phone tracker or for general cell phone monitoring. The software is mature, hosted on the cloud and used by over 1 million+ users across the world.